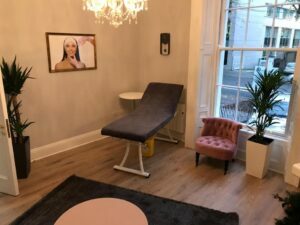 On Monday 3rd December 2018, our new Dublin Aesthetics Clinic opened its doors to the public for the first time. Located at No. 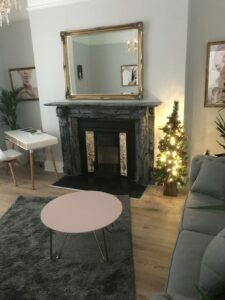 13 Adelaide Road, Dublin 2, in a stunning townhouse, we are conveniently placed close to the Camden Court Hotel, which provides an ideal parking spot only two minutes walk away from the Clinic. Why not come along and pay a visit to our new Dublin Aesthetics Clinic? Our new state of the art Cosmetic Aesthetics clinic is beautifully designed. On arrival you will receive a warm welcome from Leah, and shown into our ultra modern waiting room. Our highly qualified and professional medical team will treat you with the utmost standard of care in a calm, serene, discreet environment. During your visit with us, and throughout any treatment that you receive, we are totally focused on making you feel relaxed and special. We take our time to tailor a treatment plan specifically for you to ensure that you will achieve the results that you desire. The five star service that we offer to our clients was recognised in November when we won the Cork Aesthetic Clinic of the Year 2018 at the prestigious Cork Business Awards. Making use of an extensive portfolio of market-leading technologies teamed with safe, non-invasive treatments enables us to provide you with anti-ageing solutions that you will love, and will make you want to come back again and again. What treatments are on offer at our new Dublin Aesthetics Clinic? The new Dublin Aesthetics Clinic is open Mondays & Tuesdays from 9am to 6pm.